If you haven’t see this film I urge you to do so before reading this post. 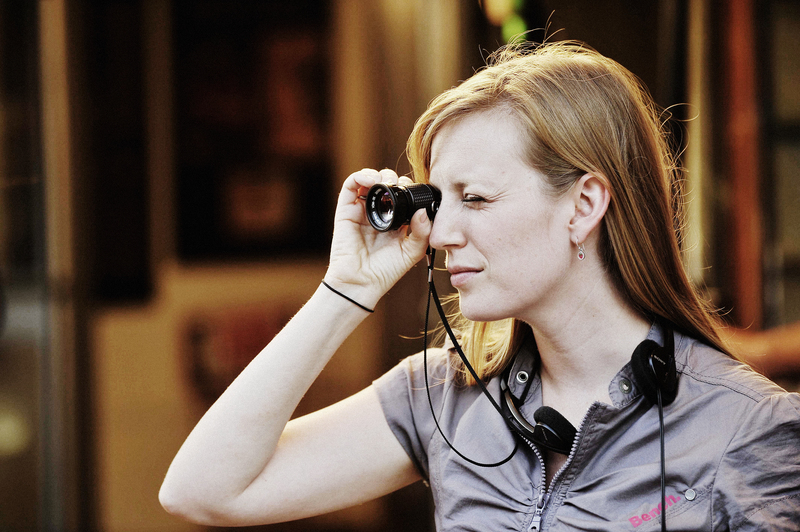 I try and avoid knowing much about a film before I see it and in the case of Stories We Tell I think ignorance is crucial to our appreciation of Sarah Polley’s artistry. Before the spoilers, in brief: the film is an investigation into who is actually director Sarah Polley’s father and this is told, mostly, with a mixture of home movie footage and talking heads. At the start we see Polley, at a sound mixing desk, instructing her father as he starts the narrative voice over of the film. He’s reading a script and refers to himself in the third person. Immediately Polley has set up, in a self-reflexive way, that she is in control of the documentary. Although her father is narrating a story in which he is a key participant (is he her biological father? ), the fact he’s reading from a script under his daughter’s direction makes it clear she’s the boss. One of her siblings says, early in the documentary, ‘why would anyone be interested in our family?’ I was inclined to agree as the only thing that was remarkable was the enormous amount of home movie footage used to partially illustrate the narration and interviews. However, Polley’s parents were theatrical so maybe that wasn’t so surprising. Polley’s pursuit of the truth soon becomes an engaging narrative and the film works as a (sort of) documentary family melodrama but it also gradually becomes clear that what we’re seeing isn’t quite what we think it is. It’s amusing to watch montages of the talking heads, who are also participants in the story, contradicting one another when asked the same question. They are not obviously being medacious as our understanding of events, particularly within families, are often diverging. There is a hilarious moment when Polley asks an ex-colleague of her mother’s if they’d slept together; his denial is entirely undermined by his eyes’ leap to the right. At her mother’s funeral, she died at a relatively early age from cancer when Polley was 11, there is a home movie shot of her real father sitting at the back of the church. Why would anyone, ignoring the question of whether a home movie would be made at a funeral, pick out him in this particular framing?! My first thought was Polley must have digitally edited the shot to enhance the appearance of her real father for dramatic purposes. However by now I’d also noticed that the voice over narration (by her biological father) had slipped into the first person, so emphasising subjectivity. When had that happened? I will have to watch will film again to unpick the way Polley playfully undermines our faith in both the sound and vision of what she is presenting. It’s likely that the clues are present much earlier than when I noticed: she’s obviously questioning the ontological status of the documentary form as well as telling a story about her family. This formal uncertainty complements the uncertainty about her familial relationships. The credits are the giveaway that some of the ‘home movies’ are in fact pastiches of the form performed by actors; I didn’t notice the difference between the real and unreal home movies, probably because I wasn’t looking for it. Peter Bradshaw makes an excellent point that it’s possible that Polley’s motivation in making the film was to pre-empt her real father’s memoir about her parentage. Polley was determined to get her version of the story told but, at least, she is clear that it is a version and not reality. As a documentary, this is a tour de force and one of the films of the year. This excellent, and chilling, film is prefaced by the statement that nothing within it is exaggerated. Anyone not taking that in good faith may give up on the film as being ridiculous: ‘but people wouldn’t behave in that way!’ Stanley Milgram’s experiments on authoritarianism are also mentioned, reminding us that there’s little some people won’t do if they are predisposed to ‘do as they are told’. The set up is a fast food cafe where a phone call from the police leads to the ‘blonde’ girl (played by Dreama Walker above) being incarcerated in the back until she can be arrested. The requests/orders get more and more bizarre and… you can probably work out some of what follows. Suffice to say it is excruciating. I’ve tagged the film as a ‘thriller’ because they are designed to take us to places we don’t want to go, in the knowledge we are safe in the cinema or at home. This film is doubly thrilling because while we don’t want to go ‘there’ we have to acknowledge the people ‘there’ are just like us. What would I do? Writer-director Craig Zobel marshals his scarcely believable (it’s based on ‘real life’) material with great skill. Kicking off with documentary style camera work to give the narrative immediacy he lets the story unfold with horrible logic. There are also some marvellous montages of fast food and the detritus it produces. As Peter Bradshaw pointed out, in his (unusually) perceptive review, the fast food industry, with the anonymous corporation looming above and workers constantly taking orders, is a perfect place for authoritarianism to thrive. Dreama Walker, as the prime victim, is superbly cast. She behaves like her name: a young woman too preoccupied with herself to pay attention to what she is doing and who can blame her in such an alienating job? Milgram was trying to work out how the Nazis is cajoled the German people to comply with their atrocities. Obedience to authority is also a corporate disease, as we see in the ceaseless flood of instances where whistleblowers are our only way of finding out about the wrongs done to us. Many people, it seems, will do anything for money or, in the case of Lloyds bank, to avoid demotion! It’s fogeyist to say we’ve lost our moral compass, and certainly the Daily Mail never had one, but it is true that the triumph of the neo liberal market leaves only immorality in its wake.